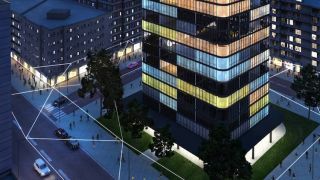 Philips Lighting Solutions Smart Cities project Brand design consultancy Elmwood has acquired digital design agency, Framework Creative. The London-based agency specializes in the design and production of virtual brand experiences using immersive simulation technologies, including augmented reality and virtual reality. The acquisition underpins Elmwood’s continued investment in design innovation and boosts its immersive experience design capability. With adoption of AR and VR set to grow exponentially over the next years, the acquisition of Framework Creative gives Elmwood new ways to help clients activate and amplify their brand’s iconicity across new canvases to drive brand cut through and value. “AR and VR are the new frontiers of immersive experience,” said Steve Gatfield, chairman of Elmwood. “Adoption of AR alone is expected to grow to over 2 billion users by 2020. As designers of brand meaning, we are hungry to harness their immense potential to re-dimensionalize experience and deepen engagement, especially as physical products transform into interactive media. The impact of AR and VR on product utility and memorability will transform the scope to design in new levels of engagement that can shape a brands iconic status"
Framework Creative has become part of Elmwood’s London studio and will continue to operate as a standalone business to service the specific needs of their existing clients. In addition, they will facilitate a seamless Elmwood offer that includes the application of immersive simulation technologies to enhance brand experience and product value. The acquisition is part of a bigger plan to build a strong digital offering across all of Elmwood’s global studios.